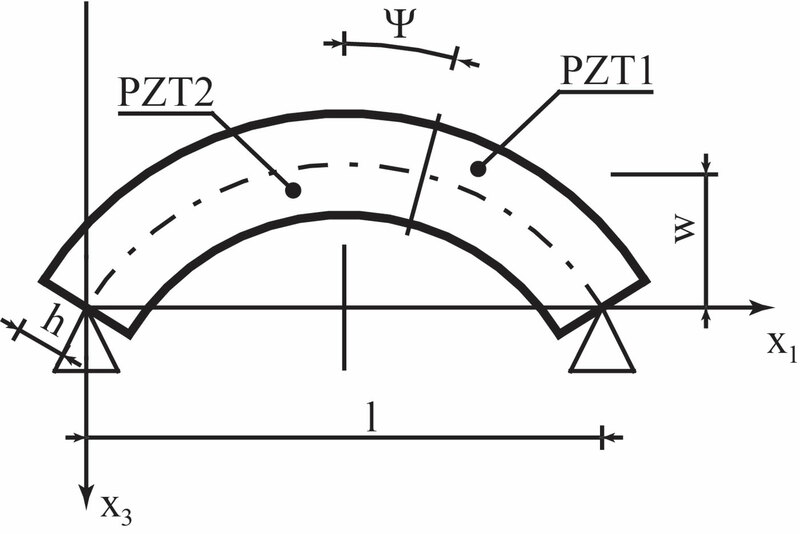 Piezoelectric bimorph benders are a particular class of piezoelectric devices, which are characterized by the ability to produce flexural deformation greatly larger than the length or thickness deformation of a single piezoelectric layer. Due to extensive dimensional reduction of devices and to the high accuracy and repeatability requested, the effect of erroneous parameter estimation and the fluctuation of parameters due to external reasons, sometimes, cannot be omitted. As such, we consider mechanical, electrical and piezoelectric parameters as uniformly distributed around a nominal value and we calculate the distribution of natural frequencies of the device. We consider an analytical model for the piezoelectric bimorph proposed in literature. The results show how the parameters errors are reflected on the natural frequencies and how an increment of the error is able to change the shape of the frequencies distribution. A. Borboni and R. Faglia, “Stochastic evaluation and analysis of free vibrations in simply supported piezoelectric bimorphs,” Journal of Applied Mechanics, Transactions ASME, vol. 80, 2013.